Stephen House spent the last few years of his decade in-and-out of California&apos;s prison system addicted to meth and anything else he could get. "I was on everything by the end," he said. But while in lockup, House never got any treatment. “They might give you GED [training], but that was it," he said. House, 33, did serve as a fire hazard, though, wedged into a three-man bunk in a tiny prison gymnasium housing 300 other men. He saw conditions only deteriorate since he first went to prison at age 20 on attempted murder charges. He saw men “who never should have been in prison” murdered, and an older inmate denied health care "because they said he wasn&apos;t sick." The man died of pneumonia in his bed that night. In a state famously bathed in sunshine and surf, an astonishing number of people have spent much of their lives crammed together in concrete cells. Now, after decades of runaway incarceration fueled greatly by the War on Drugs, California is in the midst of what one expert calls “the biggest penal experiment in modern history,” diverting tens of thousands of inmates from state prisons to local supervision. California’s so-called re-alignment leads a growing pack of sentencing and legal reforms nationwide, all designed to change how the U.S. treats low-level offenders—most of them facing drug charges, and many suffering from addiction. These policy shifts could mean much greater access to substance abuse treatments proven to reduce recidivism. But some advocates of prison reform fear that the new policies will result instead in more of the same—more jails that will require more drug offenders, and more untreated addicts who will fit the bill. PRISON CONDITIONS: "A HUMAN CATTLE CALL"
By June 27 of this year, under a federal court’s 2011 ruling, California was required to remove some 30,000 inmates from its state prison system. A recent stay extended that deadline to December, but the state remains in the final stages of re-alignment, aka Assembly Bill (AB) 109, which transfers the authority for low-level felons from the prisons to the state&apos;s 58 counties while encouraging a move to “evidence-based” incarceration alternatives. Re-alignment has affected the sentences of over 100,000 offenders, and is "the biggest penal experiment in modern history,” wrote Stanford Law Professor Joan Petersilia in a study of the process. 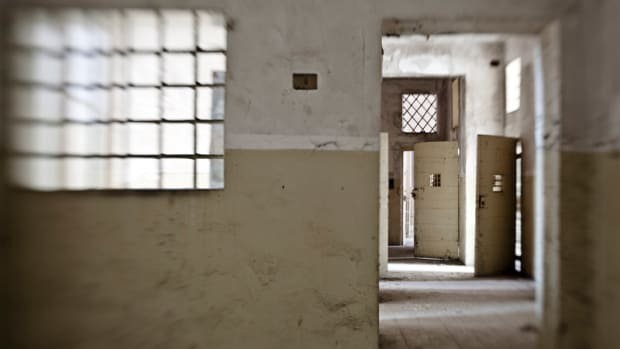 That 2011 ruling responded to unconstitutionally unsafe and overcrowded conditions in the prisons, with inmates denied adequate medical and mental health care. By 2006, California’s prisons housed 173,000 prisoners, more than twice as many as the facilities were originally designed to hold. "It&apos;s a human cattle call," House said. "It&apos;s a joke." In January, California Governor Jerry Brown declared re-alignment, so far, a success, saying, “The prison emergency is over in California." But the health care has not improved, and conditions are still unconstitutional, said Kimberly Horiuchi, an attorney with the Northern California ACLU. Critics of re-alignment predicted that diverting offenders from prisons would endanger public safety. "It was a bad policy, and we&apos;re seeing the exact bad results we expected," said Michael Rushford, president of the Criminal Justice League Foundation, citing increased violent crime. "The state has lowered the consequences for about 500 felonies," he said. "When you lower the consequences for criminal behavior, you get more criminal behavior." In early 2012, property and violent crimes went up in 40 of California&apos;s largest cities. Yet those counties receiving most AB 109 offenders actually saw violent crime drop. Overall, 80 percent of Californians supported re-alignment when it passed, according to a Los Angeles Times poll. As bad as California&apos;s conditions became, they merely represented the worst of a 30-year, nationwide trend. Paul Thompson, a former prisoner who served decades in Colorado’s prisons since the age of 16, is now a peer counselor in many of the same prisons. He has watched inmate populations balloon in his state, which recently passed comprehensive sentencing reform. On his visits, Thompson now sees two prisoners crowded into his former single-occupant cells, he said. “A lot of people in a small area like that just breeds a lot of insanity and anger,” he said. Thompson has worked with inmates on drug rehabilitation for 23 years, but admits that overcrowded prisons are hardly the best place to host treatment. With no private rooms to spare, counseling takes place in view of many other prisoners. “Everybody gets looked over," he said. "They&apos;re sitting in front of 80 guys, with the others wondering, &apos;Is this guy gonna cry?&apos;"
House finally got treatment, and an alternative to prison five months ago thanks to re-alignment, which sent him back to his hometown of Bakersfield, in Kern County. He has stayed sober thanks to treatment at local community organizations, and completed job training at the New Life Recovery and Training Center. He now works tying rebar in construction. Most inmates in the California prison system have not had those chances, though. 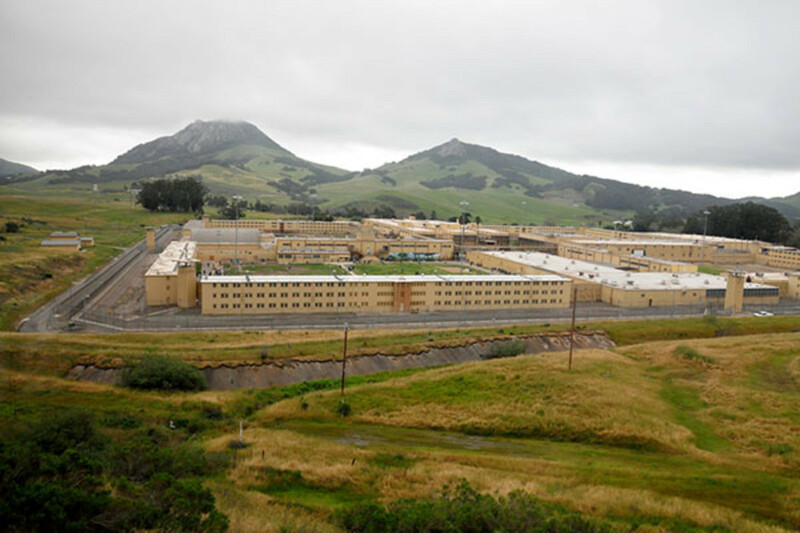 At the same time that the state&apos;s prisons were expanding, rehabilitation programs were gutted. In Kern County, which has the state’s highest rate of recidivism, most re-alignment offenders with substance abuse problems had little or no treatment while in prison, said Jan Casteel, a New Life program administrator. "More than 50 percent say they have never had any treatment," she said. Although AB 109’s goal is to ease overcrowding in state prisons, the bill also prods counties to spend "on evidence-based community corrections practices and programs.” So re-alignment presents an opportunity to replace incarceration with rehabilitation programs that cut rates of recidivism, notes a report by the Northern California ACLU. Such alternative programs would ideally feature addiction treatment, as 60 percent of the nation’s inmate population has substance abuse problems, according to a California Mental Health Planning Councilstudy of re-alignment. Those numbers likely underestimate what California&apos;s counties are seeing, with many local officials expressing shock at the extent and severity of re-alignment offenders&apos; drug issues, the study found. 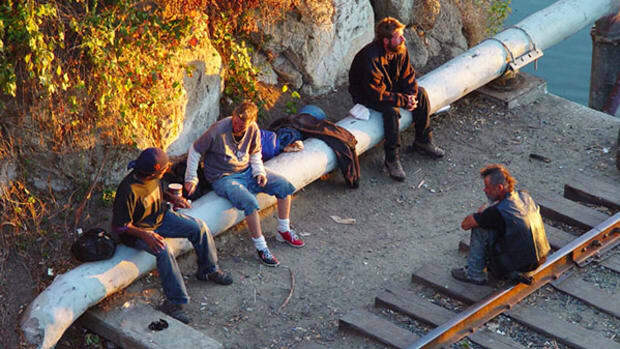 In San Mateo County, over 90 percent of re-alignment offenders arrived with drug problems. The anti-incarceration policies arrive at a time of steadily rising momentum for alternative sentencing and other reforms, said Marc Mauer, executive director of the Sentencing Project. Prison overcrowding nationwide, along with its massive costs, have intensified a decade-long pushback against the Drug War’s lock-’em-up strategy, he said. Meanwhile, the Recession&apos;s decimation of state budgets has only accelerated the urgency of cutting costly imprisonments. Last year, 24 states adopted sentencing reforms, according to a Sentencing Project report. "Cost has been an important part of it—the fiscal crisis has governments looking at the price of incarceration," Mauer said. "But there&apos;s also a growing interest in looking at what actually reduces crime and recidivism." While addiction is notoriously difficult to treat (only 20 percent of alcoholics recover), substance abuse programs have had some success in slowing the revolving door. A 2012 study showed a 15 percent to 17 percent reduction in recidivism thanks to treatment, and the ACLU notes that addiction programs should play an important role in reducing California&apos;s overall 67 percent recidivism rate. And incarceration reform has the potential to redirect funding to treatment. Nationally, it costs about $25-grand a year to lock someone up. In California, that cost is $52,000. In many cases, savings from cutting such expensive punishments are partly earmarked for substance abuse treatment and other rehabilitation programs. But the actual effects on treatment can look very different. THE COUNTY CONFLICT: BIGGER JAILS OR BETTER ADDICTION TREATMENT? The line from prison savings to substance abuse treatment under California&apos;s re-alignment is a tangled one. AB 109 leaves the specifics of its directive entirely up to the counties, establishing no state standards and funding no oversight of the counties&apos; decisions, Petersilia wrote. In most counties, that independence has meant expanding local jails, with little more than lip-service paid to rehabilitation, according to a report by the ACLU of Northern California. In re-alignment’s first year, the 25 biggest counties spent a total of $45.1 million in AB 109 funding on jail expansion, the report finds. Separate from AB 109 money, Los Angeles County put aside $1.4 billion for new and bigger lockups. "Re-alignment looks vastly different depending on the part of the state you look at," Mauer said. "A lot of counties are just putting more people in the local jail." Counties like Kern, Fresno, and Kings have turned to incarceration largely due to public safety concerns, officials say. Those counties devoting more money to jails and probation typically see AB 109 offenders who have committed more serious crimes, and are more likely to recidivate, Petersilia wrote. In Sacramento County, the sheriff gets the bulk of the AB 109 money because of the cost of increased county jail sentences thanks to AB 109, said Alan Seeber, assistant division chief for the Sacramento County Probation Department. "It&apos;s what the sheriff says he needs, though we&apos;re trying to convince people you get more bang for your buck by sentencing to community supervision," he said. Rehabilitation programs, including substance abuse services, generally got far less attention. According to a Stanford University analysis, initial county re-alignment plans range from nary a mention of drug and mental health treatment to outright innovative plans. Madera County listed "the most detailed and ambitious substance abuse program for offenders re-entering the community," according to the Stanford analysis. Madera&apos;s plan includes mental health clinicians and case managers, drug and alcohol counselors, cognitive behavioral treatment, and 24/7 crisis services. Overall, however, only 36 percent of county plans provided any concrete details. As the ACLU has noted, even those counties that state a commitment to evidence-based programs often listed no funding specifically for treatment. Money specifics, of course, typically reveal the true priorities. On average, 12 percent of county AB 109 bucks are designated for programs and services, Petersilia found. The rest is evenly split between sheriff&apos;s departments and probation. Some counties in liberal Northern California excelled at reform, with San Mateo devoting 58 percent of its re-alignment money to services, while building no new jail space. San Francisco, Santa Cruz, and Santa Clara invested in sentencing alternatives and pre-sentencing assessments, Horiuchi said. At the other end of the spectrum, and the state, Kings County opted to put 70 percent of its funding into bigger jails, and designated a "paltry 2%" toward health, treatment, and other services, the ACLU reported. As many counties found, however, AB 109 offenders had even higher levels of substance abuse and mental health needs than expected, resulting in later-in-the-game re-allocations of resources. Sacramento County made plans to invest 45 percent of its re-alignment funds in new jail space, with zero for services, rousing considerable community outcry, Horiuchi said. Eventually, the county diverted some AB 109 funds to mental health. 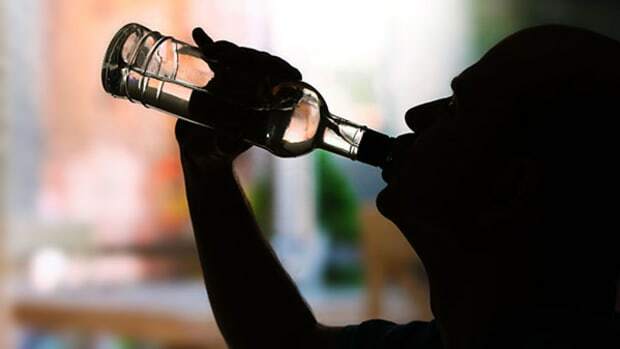 In Los Angeles County, officials scrambled to address their “[un]anticipated increase in the level of acuity" of substance abuse problems, opting to use urgent care centers and the county hospital system, according to the Mental Health Planning Council&apos;s report. Other counties have designated their small rehabilitation allocations for low-cost programs unequipped to provide addiction treatment. In Kern County, where officials puts just 15 percent of its AB 109 money into services, the responsibility to treat severe substance abuse problems has fallen on organizations like New Life, a sober-living center intended to serve only clean clients, said Casteel. But 63 percent of the AB 109 people referred to New Life have had "really hard-core substance abuse problems for a really long time," most often meth addiction, she said. "Sober living environments are substituted for actual drug treatment because treatment is more expensive than transitional housing,” Casteel said. New Life, in turn, must send re-alignment clients with addiction to community drug treatment centers. Like New Life, these centers receive nowhere near adequate county funding to address the extent and severity of the drug problems among AB 109 offenders, Casteel said. Kern County did devote significant attention to substance abuse treatment in its re-alignment plan, offering up to seven hours of treatment per week in the first four weeks. The county splits about $4 million in AB 109 substance abuse funding between in-jail and community-based treatment programs. That funding marks the first time Kern County Jail has hosted substance abuse treatment of any kind, said Jim Waterman, director of Kern County Mental Health Department. "That $2 million has been a real shot in the arm for us," he said, funding several new staff members who conduct treatment in the jail. Yet the county still gives grossly insufficient attention to drug treatments, particularly for a county with the highest rate of recidivism in the state, Casteel said. "Unless we see drug treatment, AB 109 is not going to be successful," Casteel said. 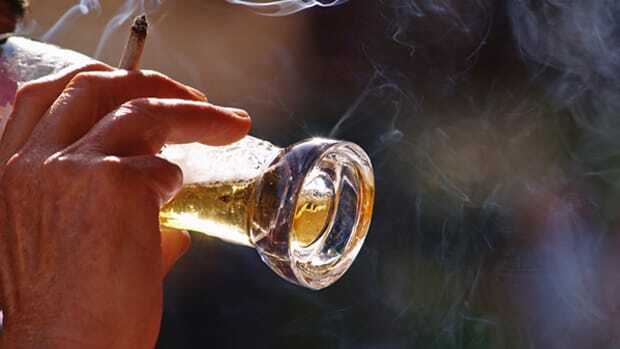 "The underlying problem is drug abuse. We have job training, but if you have a drug problem, all of that is for naught." In Colorado, funds from sentencing reform bills have similarly ramped up drug treatment from zero to "at least something," Donner said. 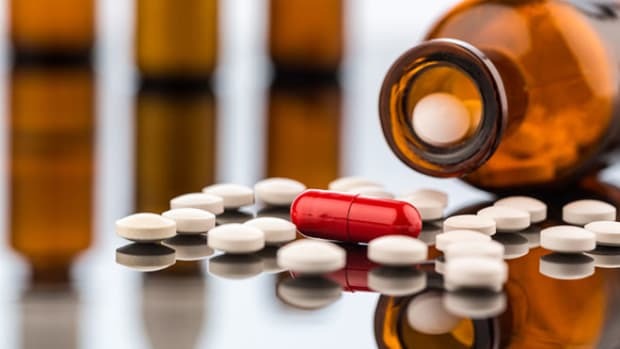 And with national health care reform (aka Obamacare) widely expanding insurance coverage for substance abuse treatment, reformers hope that statewide access to treatment can be vastly increased, Donner said. Obamacare gives ex-prisoners access to Medicaid for the first time, and proponents argue that getting drug treatment will help reduce overdoses, the leading cause of death among ex-prisoners. WILL RE-ALIGNMENT REVERSE RECIDIVISM ... AND THE WAR ON DRUGS? Over 40 years ago, New York State enacted the Rockefeller Drug Laws, imposing a mandatory minimum sentence of 15 years to life for the sale or possession of even small amounts of narcotics and marijuana. As the “tough on crime” trend swept the nation, some states bested New York state with mandatory life sentences. In 2009, New York state scaled back the mandatory sentences, representing "a significant shift in the birthplace of the Rockefeller laws," Mauer said. As more and more states enact similar reforms, the U.S. has the opportunity to return to the pre-Rockefeller approach: treating substance abuse less as a criminal than a social problem. Even the powerful private prison industry, which feeds on a constant supply of new incarcerations, has recognized that War on Drug-fueled prison expansions are slowing, Mauer said. Industry lobbyists have turned instead to immigration detention. In May, Colorado completed a series of reforms that amount to a complete rewrite of the state&apos;s Controlled Substances Act, said Christie Donner, executive director of the Colorado Criminal Justice Reform Coalition. The scope of the bill reverses Colorado&apos;s fealty to federal War on Drug laws, creating a new system for felony and misdemeanor drug offenses. The bill also makes good on the promise of tying sentencing reform to drug treatment. Altogether, Colorado’s suite of reforms will save the state around $25 million in law enforcement costs over four years, and all those savings will go toward treatment, ramping up the state’s expenditure on treatment for drug offenders, Donner said. Previously, offenders had to pay for their own treatment—or go without. "These are people coming out of prison," she said. "They don&apos;t have any money." Meanwhile, similar, if less sweeping, reforms have occurred in Delaware, Ohio, Kentucky, California, and other states. Sentencing reform also helps convicts restart their lives without felonies on their records, and addresses the scandalous racial disparities of the War on Drugs, Mauer said. With more demonstrated successes, additional reforms will likely occur. Colorado passed its new laws due, in large part, to the successful precedence set in other states, including California&apos;s Prop. 36, which changed the state&apos;s three-strikes law, Donner said. California’s re-alignment, together with sentencing reform, have the potential to show the U.S. a new way to treat drug offenders—and to show hundreds of thousands of addicts a new way to live. In Stephen House&apos;s case, this has made all the difference. New Life employment training specialist Pedro Gutierrez said that House has turned his life around due to the rehabilitation programs he has completed. "I&apos;m pretty grateful to have a chance now," House said. "I&apos;m doing all right. For everyone who says treatment doesn&apos;t work, I&apos;d say I hope someone else gets the chance I did." Reforms make it more likely that others convicted in the War on Drugs will get that chance. But if California&apos;s great prison experiment just turns into more jails, that opportunity for reform will be squandered. 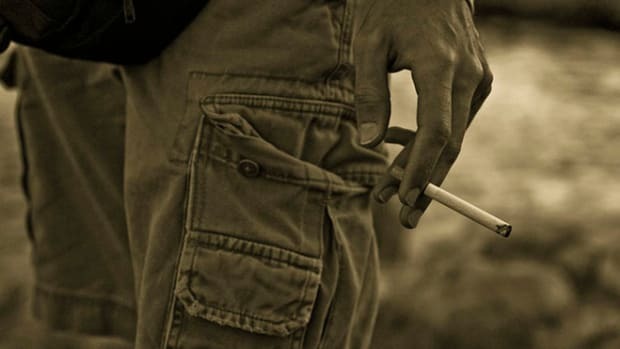 The 1,000-page psychiatrists' Big Book will redefine addiction. Critics are already demanding a boycott.